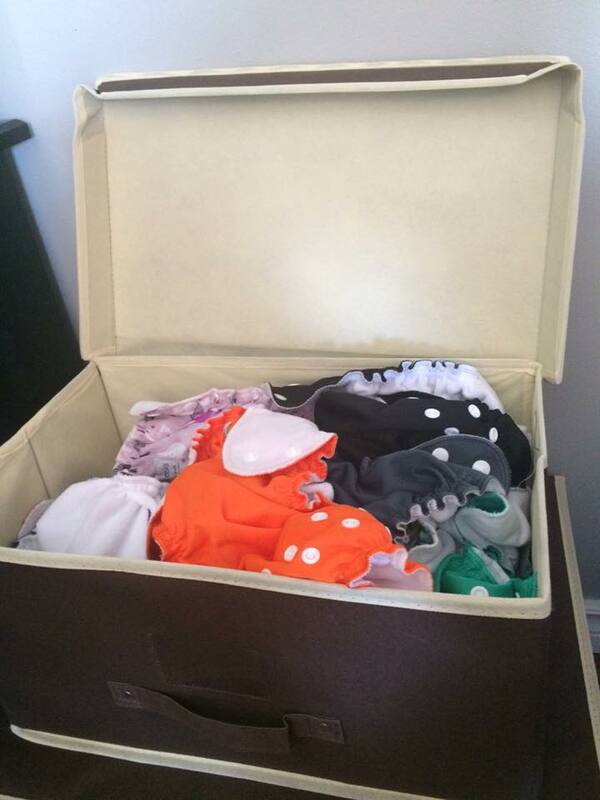 What’s the best way to store your fluffy cloth diapers for both style and function? Here’s a couple of fresh ideas for you. There’s lot of different styles and options here, but this one in particular tends to be popular. 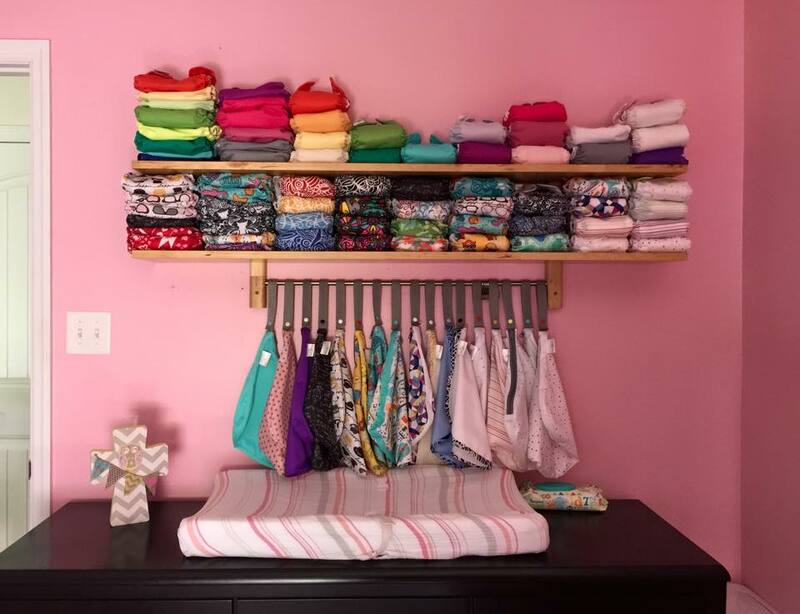 Re-moveable, interchangeable bins on this toy rack make for easy moving, coordinating and sorting of diapers, inserts and accessories. IKEA can really be your friend here. 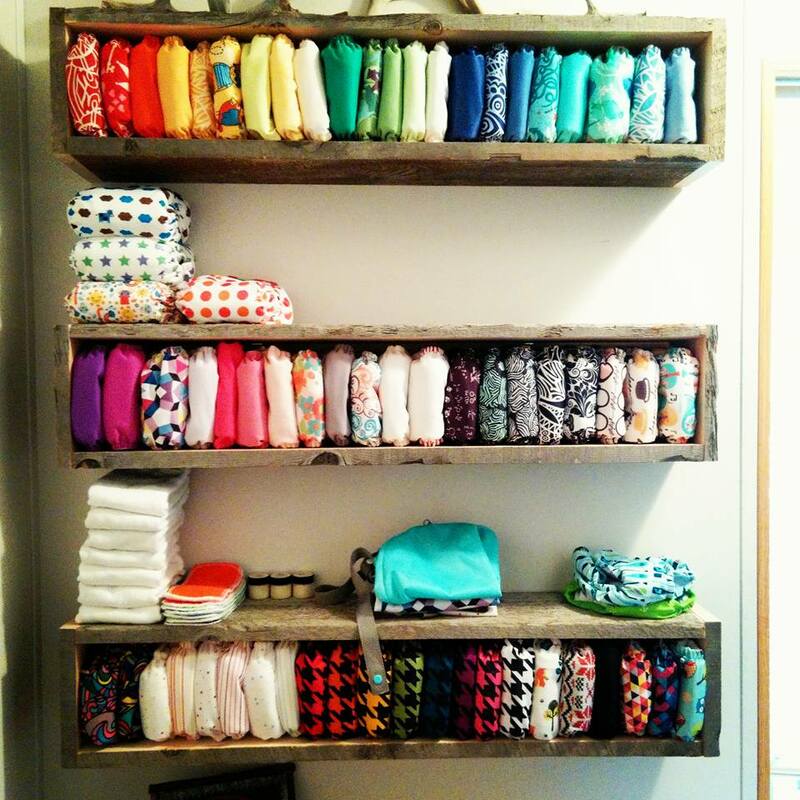 I bet you can find a shelving unit to fit almost any space or design theme. 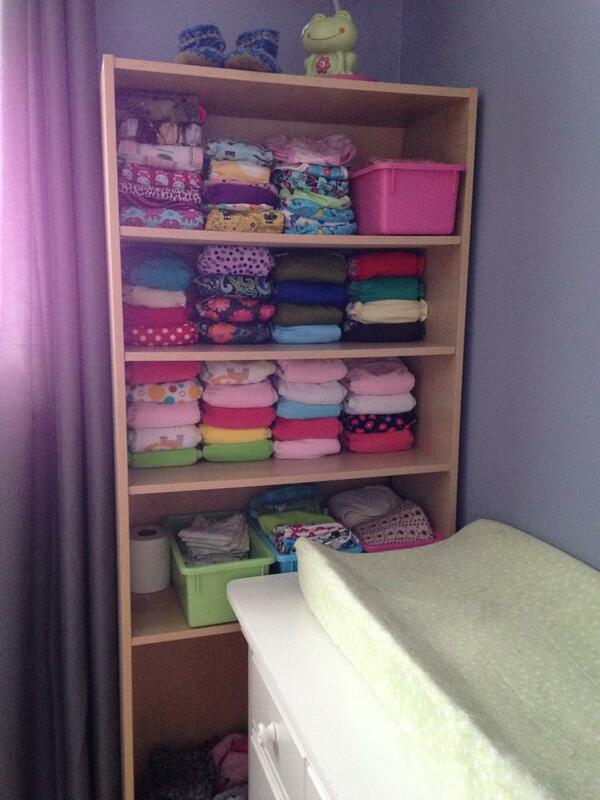 Re-purpose a tall and skinny media shelf for diapers. 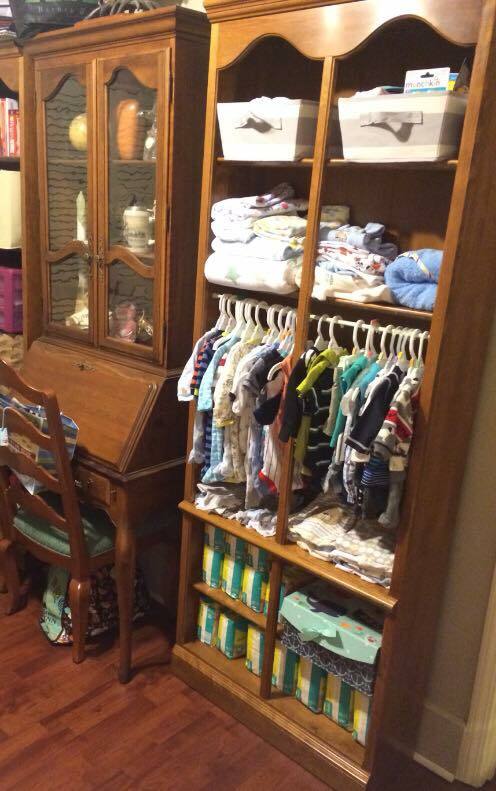 The width of DVDs is perfect to accommodate diapers and look now many diapers you can get into a really small amount of space. 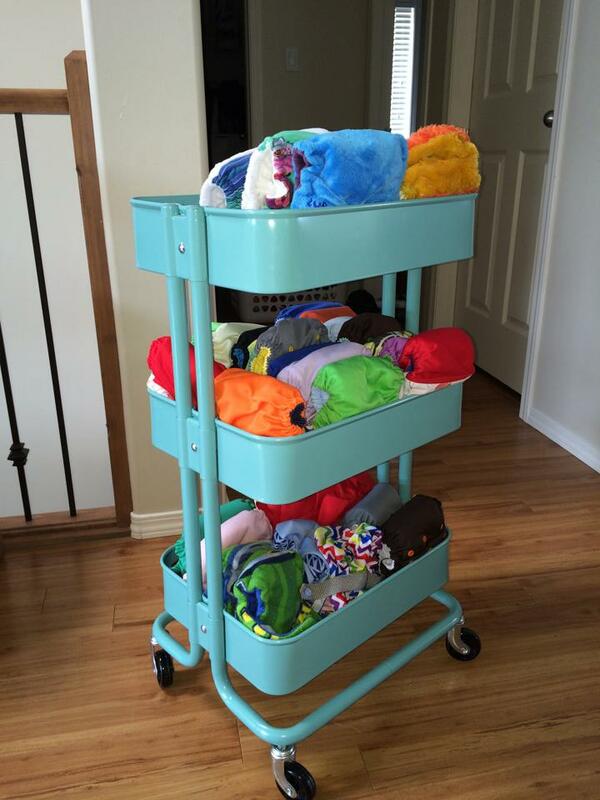 Great for small nurseries, apartments or even multiple babies in cloth. The cube shelves are also a hit. 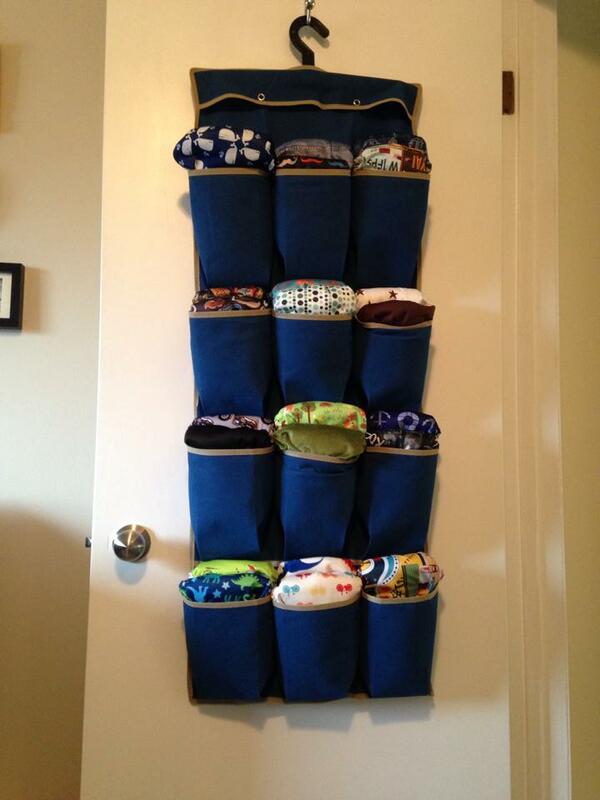 Stack diapers any which way or add baskets into the cubbies for easy sorting and portability to and from the laundry room. Move over books, Moms don’t have a lot of time to read you anyways! Use those bookends for something more functional. 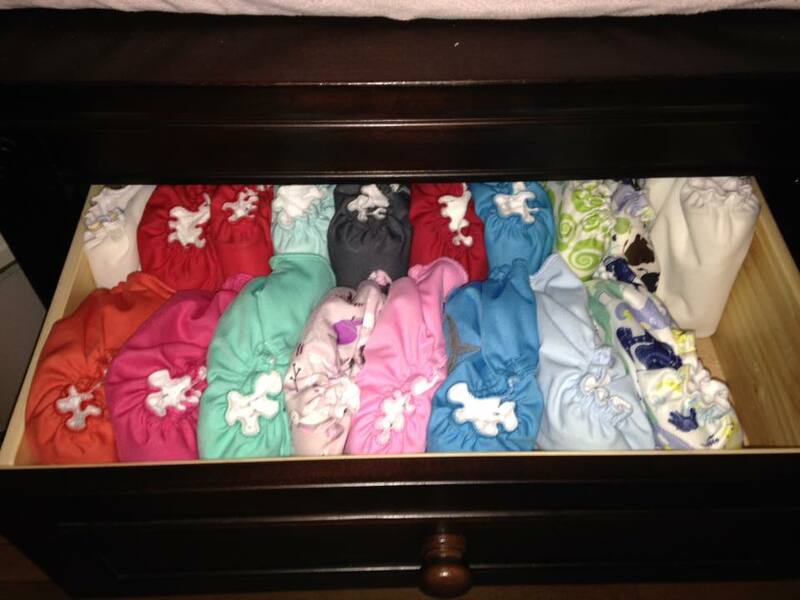 Cloth diapers look so pretty arranged like this don’t you think? Bonus is most people have bookshelves already, no need to go buy something new. 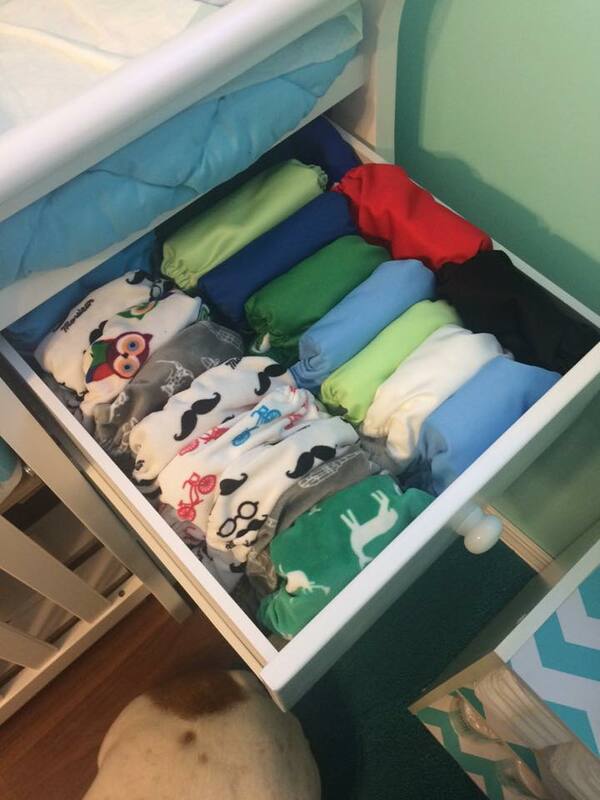 If you’ve got a handy Daddy in the house, this solution just might be right for you. A great way to use vertical space and prevent lots of bending, on wall storage units can be done in all different configurations of open shelves and hanging hooks or closed with cupboard type doors for a neat and tidy appearance (even if the inside is messy). 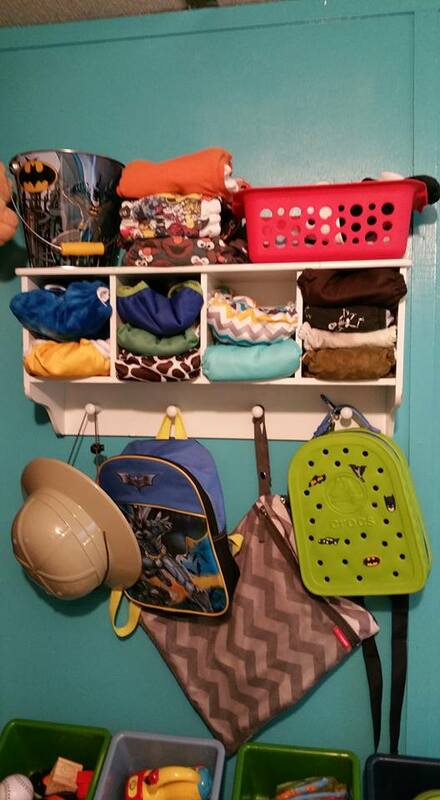 Normally for shoes, but definitely multipurpose here and great for cloth diapers. 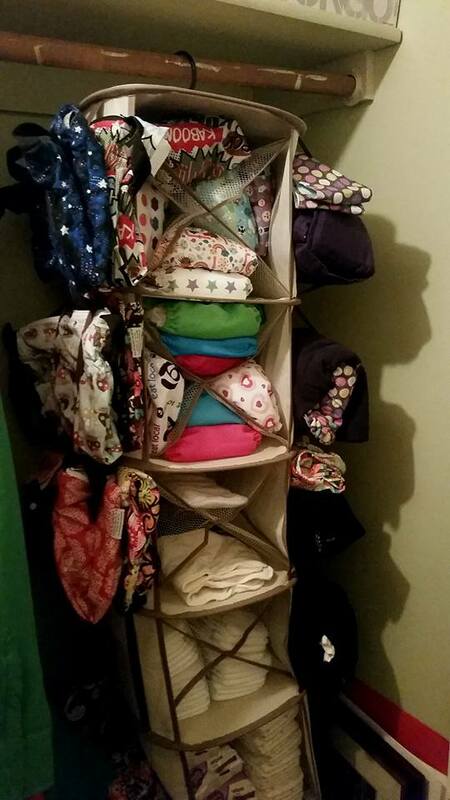 They save space, hang anywhere and are inexpensive. They also don’t take up any floor space. 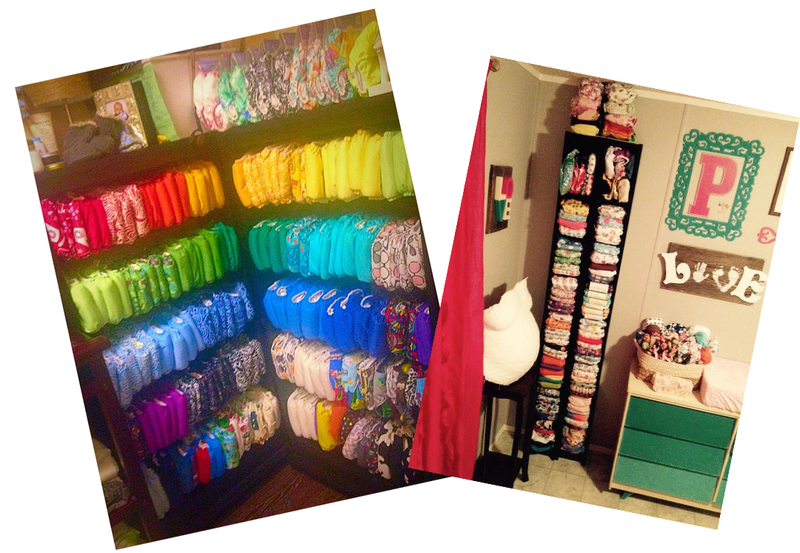 No closet? No problem. 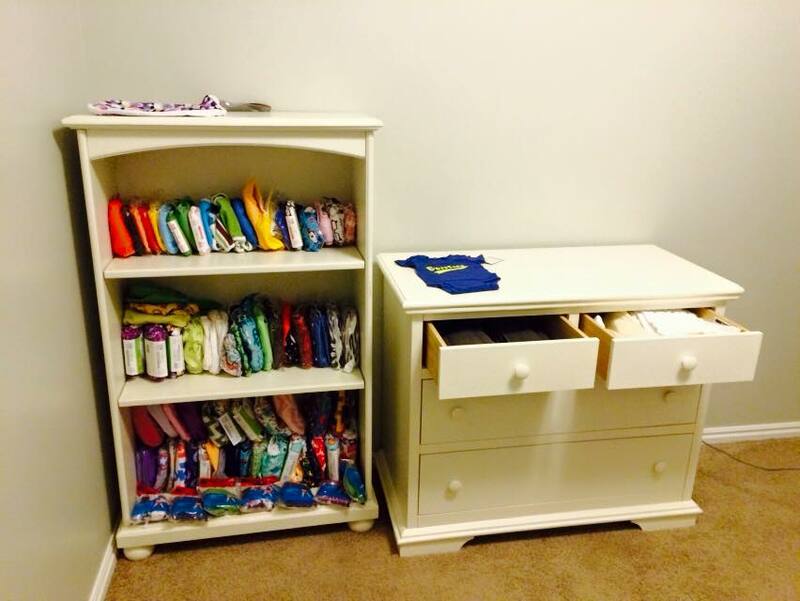 Clothing and diaper storage in one! With or without doors an armoir can multi-task like no other. 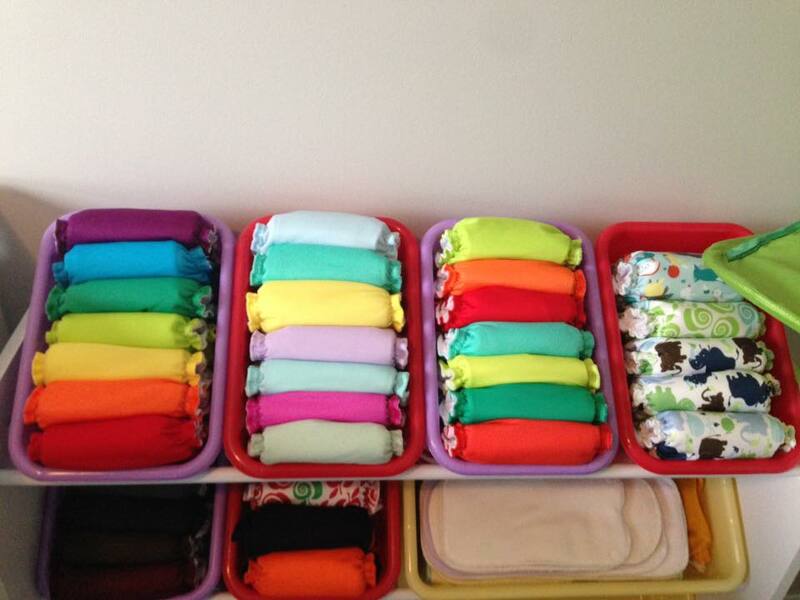 Easily portable, and stackable, bins, totes and ottomans make diapering simple. Bonus if you use an ottoman is extra seating and a tidy appearance when the lid is down. Just make sure you get one with a child safe lid so it doesn’t slam down on little fingers. 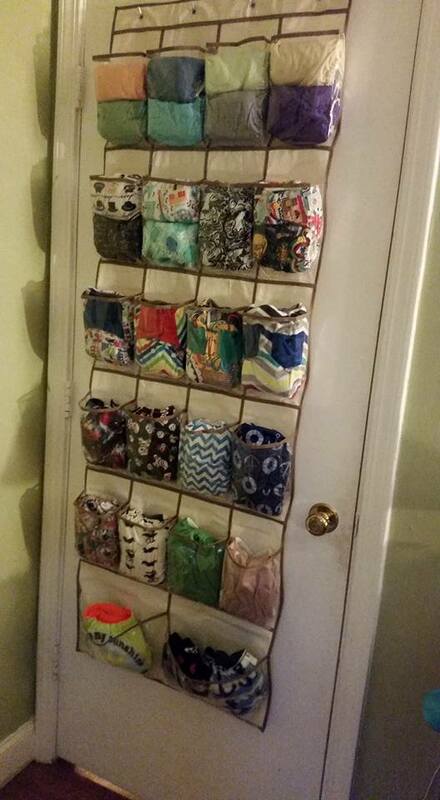 Do you have a creative diaper storage suggestion? Leave your comments below! 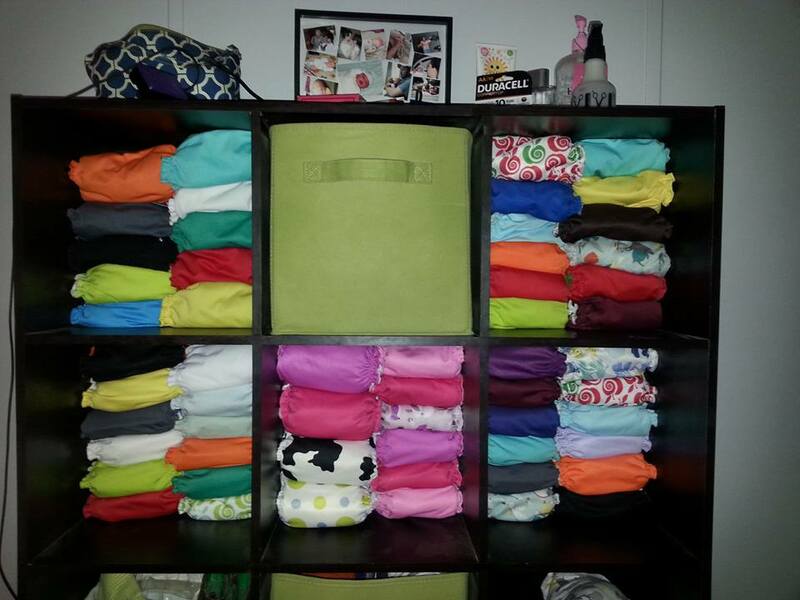 Categories: Just for Fun, Tips & Tricks | Tags: cloth diaper storage, diaper stash, diaper stash storage, diaper storage, stash shot, ways to display diapers | Permalink.